"It can't be, therefore it isn't!" Mind you, this was the USAF's attitude towards UFO sighting reports during the time it was supposed to be conducting an open-minded, scientific study of UFO sighting reports. Basically, if you reported a UFO sighting to the Air Force between the years 1952 and 1970, you were considered a screwball. You probably still would be if the Air Force still accepted UFO reports, which they do not, at least officially. All told, the staff of Project Blue Book, the Air Force's official inquiry into the UFO phenomenon, collected 12,618 reports of UFO sightings and encounters. 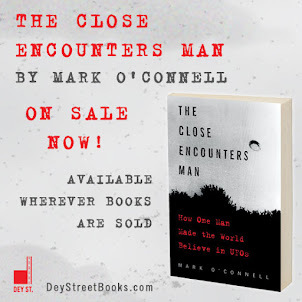 The vast majority of those sightings were dismissed as misidentifications of natural phenomenon or conventional aircraft, which is an insult to screwballs everywhere. 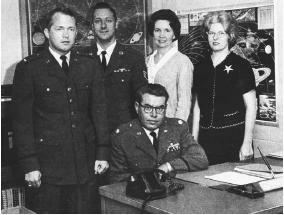 Behold the U.S. Air Force's "Project Blue Book" team, pictured here with their desk, their telephone, their blotter, their pen, and their two astronomical charts. What, no stapler? The remaining 701 sighting reports were classified as "unidentified," which was the Air Force's way of saying "We couldn't get Hynek to say it was Venus." But just because the Air Force couldn't explain what the hell was going on in those 701 cases, that didn't stop them from dismissing them anyway. 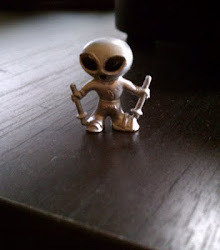 There was no evidence indicating that sightings categorized as "unidentified" were extraterrestrial vehicles. Which is all a load of horse puckey. Okay, maybe you could tell I added #4 myself, but it's true.